A big marketing stunt has the potential to either make or break your business. While a misstep could wreck your brand’s reputation, a success could catapult your business into viral success. From brand awareness to driving sales, the right marketing stunt can help businesses of all sizes reach their goals. With one of the most talked about marketing stunts of 2018, IHOP showed they were more than just a pancake palace. It all started on June 4th, 2018, when IHOP tweeted that they’d be flipping the ‘P’ around and changing their name to IHOb. They announced that everyone would have to wait to find out what the ‘b’ stood for—something that immediately got everyone guessing. After days of speculation, IHOP(b?) announced that the ‘b’ stood for burgers. Thanks to this campaign, IHOP not only got people associating burgers with their name—seeing word of mouth rise from 19 to 30 percent—but saw their social media popularity skyrocket. 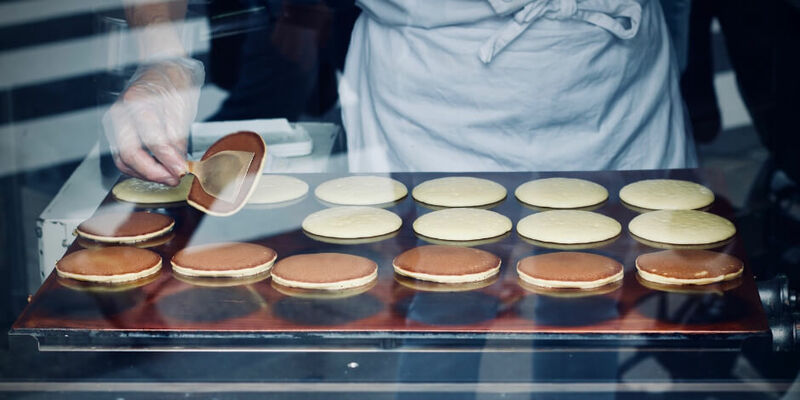 How can your brand follow IHOP’s path to success? Do your research. You can’t just launch a potentially risky campaign out of nowhere. 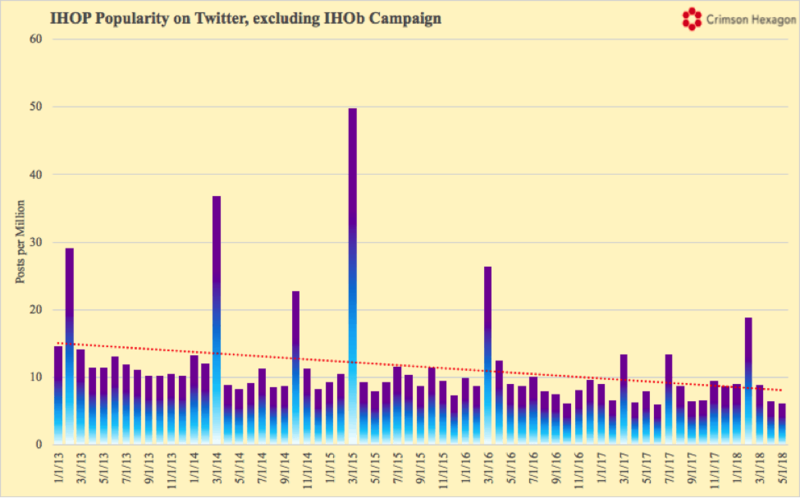 Before making their Twitter announcement, IHOP discovered that social media conversations about pancakes had declined, while the popularity of burgers was steadily increasing. Find out what your customers are talking about online and highlight ways your business can fulfill their needs. Build suspense. IHOP’s first Twitter announcement asked their audience to stay tuned to find out what the mysterious ‘b’ stood for. This lent an air of speculation to the campaign and it became an engaging guessing game for the audience. Your brand can easily do this with a marketing campaign. SodaStream’s CEO Daniel Birnbaum says “the company is always looking for disruptive ways to create moments of joy.” They definitely succeeded with their 2018 April Fool’s Day campaign. This marketing stunt had Game of Thrones star Thor “The Mountain” Bjornsson and Shahs of Sunset star Reza Farahan introduce SodaStream’s (fake) new product, the SodaSoak—a sparkling water maker for the bathtub. What can your brand do to get on SodaStream’s level? Delight and surprise your audience. By making their commercial in classic infomercial style, there might have been a moment where SodaStream’s audience questioned whether what they were seeing was real. It’s always fun to give your audience something they’re not expecting, so take any opportunity to surprise them with strategic whimsy. Recognize key dates. SodaStream’s campaign was for April Fool’s Day, but there are key dates and celebrations happening almost every day of the year. When relevant, align your campaign to one of these dates and have fun with it. Highlight your product. Even though the SodaSoak isn’t real, the parody still presented the key capabilities of SodaStream’s actual product. Even when watching a spoof, the audience was reminded that the SodaStream is able to carbonate plain tap water. In all the excitement of creating a fun campaign, don’t lose sight of what makes your product or service unique. If any brand can prove that weird works, it’s KFC. Their marketing stunts have been wonderfully outlandish over the last few years, and it’s a formula that works for the brand. While you might have scoffed if an employee pitched an idea like this in a meeting, more than one-million viewers tuned in to KFC’s kitties. If enough of you share, we might add more kittens. How can you create a goldmine campaign like KFC? Brand everything. Whether it’s an ad apologizing for a chicken shortage or a cat tower livestream, KFC knows that putting their brand first and foremost works. Awareness and recall are key to your business’ growth.Make sure you use any opportunity to bring your unique brand into all of your content and marketing assets. Embrace the weird. While actually running a bizarre campaign like KFC’s might not be possible for all brands, every business can embrace a quirkier approach to campaigns. Add a dash of whimsy to your campaigns where relevant.If you can’t share silly content (say you’re a political organization or serious government branch), you can have fun in your brainstorms, strategy sessions, or at other states of campaign development. For example, ask everyone in your brainstorm to come up with the weirdest, most outlandish idea they can—there are no bad ideas. Sometimes the best “real” ideas can come out of a free-for-all. And the worst case scenario is that your team has a laugh. While brands are usually advised to avoid politics, the response to Patagonia’s politically-inspired marketing stunt was so positive it crashed their site. After the President of the United States signed two proclamations to greatly reduce protected land in the Bears Ears and Grand Staircase-Escalante National Monuments in Utah, Patagonia responded with images and messages reading ‘The President Stole Your Land’ on their website and social feed. What can your brand do to reach Patagonia’s level of success? Know your audience. Patagonia knows that their target customer has environmentally-friendly and eco-conscious values. The company donates a percentage of its revenue to environmental causes, uses recycled, “Fair Trade” certified in its clothing, and uses solar energy at its company headquarters. Figure out who your own brand’s target audience is, and align your actions to their values. Provide a clear call-to-action. While it would have been easy for Patagonia to post their ad and call it a day, they provide a button encouraging their audience to ‘Take Action Now.’ This leads to a page where visitors can sign a petition and send a pre-written tweet defending public lands. When you are launching a social media campaign of any risk level, include a CTA so your audience knows exactly what you want from them. Check out this blog post from AdEspresso for 31 clever CTA ideas. When it comes to brands tackling important issues, Burger King might not be the first company you think of. However, the fast-food restaurant proved they’re more than capable of getting people’s attention with their Whopper Neutrality stunt. The campaign had customers ordering Whopper burgers, but receiving them at different times based on how much they were willing to pay. As AdWeek explains, this “was a scathing parallel for how the end of net neutrality could create fast and slow lanes for internet access.” It became their most shared ad of all time with more than 4.5 million Youtube views alone. What lessons from Burger King’s campaign can your brand put into action? Combine education and humor. Net neutrality is a complicated issue, but Burger King was able to explain the effects in terms anyone can understand. By making the message accessible to all—as well as humorous—they are providing crucial education for their audience. Consider how your brand can educate your target customers in a relevant way, and centre a campaign around these lessons. Appeal to your customers’ emotions. Any viewer of Burger King’s ad is sent on an emotional roller coaster. From feeling empathy towards the customers in the video and frustration on their behalf, to experiencing laughter, to fear when the reality of net neutrality being repealed sets in, the content evokes plenty of emotion. Emotions play a crucial role in our ability to recall information, so they’re a powerful part of many successful ad campaigns. Think about how you can stir up emotion in your audience, whether that’s through humor, love, happiness, or plain old FOMO. Our blog post, Social Media and Psychology: 4 Things Marketers Need to Know, shares more ideas for including emotion in your campaigns. Any marketing stunt has the power to strengthen—or sink—your brand. As long as you follow the lead of the successful brands above and know what you’re doing, your risk can definitely pay off. Use Hootsuite to easily promote your organic content (or boost it with advertising dollars). From a single dashboard you can schedule and publish posts, engage the audience, monitor conversations, measure performance, and much more. Try it for free today.